Ozarks Coca-Cola/Dr Pepper Bottling Company has a long history in southwest Missouri. We’ve grown to be a successful family business thanks to this community; so we are proud to have the opportunity to give back to our friends and neighbors. Through recycling programs and sustainability initiatives, and work with local and national charities, we hope to have a positive impact on the community that shaped us as a company. Explore these tabs to learn more about how we got started and who we are today. We bring sparkling moments of refreshment to everyone in the Ozarks with the taste of their favorite soft drinks. We honor the history of our iconic brands in partnership with the Rice/Heer family for 95 years. Our passionate employees add value to their communities every day through meaningful service to customers and providing economic benefit for all of us. 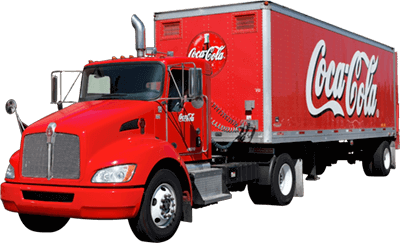 Ozarks Coca-Cola Bottling Company is led by highly qualified, motivated leaders who are committed to growth, exhibit a strong work ethic, pride, passion, and professionalism dedicated to excellent customer service and a return on shareholder investment. We are family centered and strive to build a positive culture of teamwork which treats everyone with dignity and respect for individual and collective growth and success.